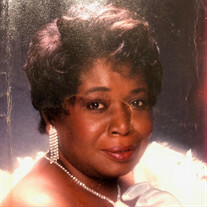 The family of Ms. Loretta Small Brown created this Life Tributes page to make it easy to share your memories. Rosadale Funeral and Cremation Parlor, Inc.
© 2019 Rosadale Funeral Parlor - W.L. Truesdale Memorial Chapel. All Rights Reserved.